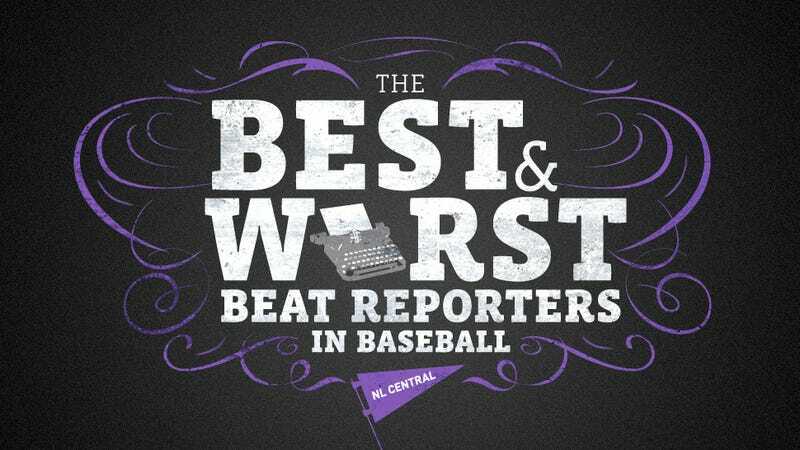 This week, we're posing a question: Who's the best (and worst) beat reporter for each MLB team? Yesterday, we tackled the NL East, and today we move to the NL Central. We've organized the threads by team. Jump in the discussion down below and tell us why your favorite/least-favorite reporter is the best/worst. Don't just give us a name. Explain your answer, ideally without saying something stupid about "bias." Again: The lists below are not necessarily exhaustive; the names are there to get the discussion rolling. If we missed someone, let us know in the comments.